Most people think of the desert as being a dry, arid, harsh land. Brown colors, dusty air, and extremely hot temperatures are the images most people conjure up when envisioning the desert. While the hot temperatures and the dusty air may be correct at certain times of the year, the thought of the southwest being brown and boring couldn't be further from the truth. The Southwest desert is a beautiful place that contains hundreds of species of cacti, plants and wildflowers that flourish with amazingly colorful blooms. The beauty of this arid land is one of the best kept secrets that ever existed and the only way to believe it is to see it with your own eyes. Take a hike through the desert and you may see flowers with shades of yellow, red, purple, and white decorating the desert floor. 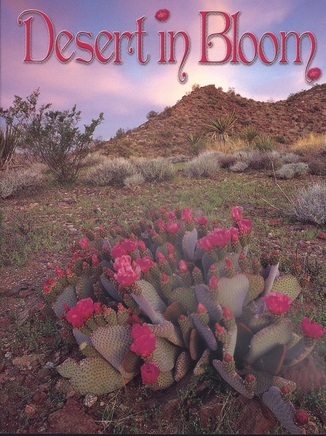 Feast your eyes on the blooming desert ! Paperback, 32 p. : ill. ; 19 cm.